All I learned how to do in elementary school was recycle and drink from a faucet. True story! EEEE! 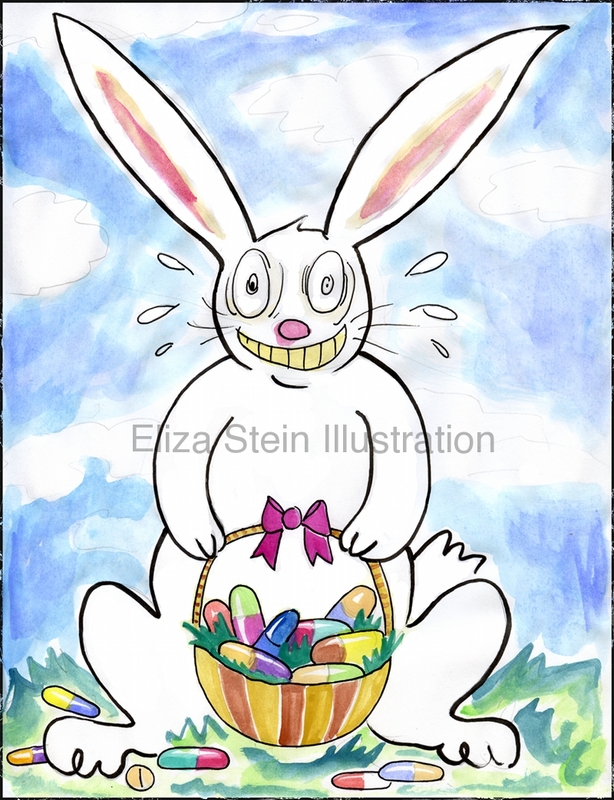 Eliza’s Etsy Easter Exclusive! I made some new greeting cards and they’re available on my Etsy site! Admit it, for Easter this year you’re tired of having hard-boiled eggs that you have to chop into salad for a week, and you want to avoid all that fattening delicious FATTENING candy. 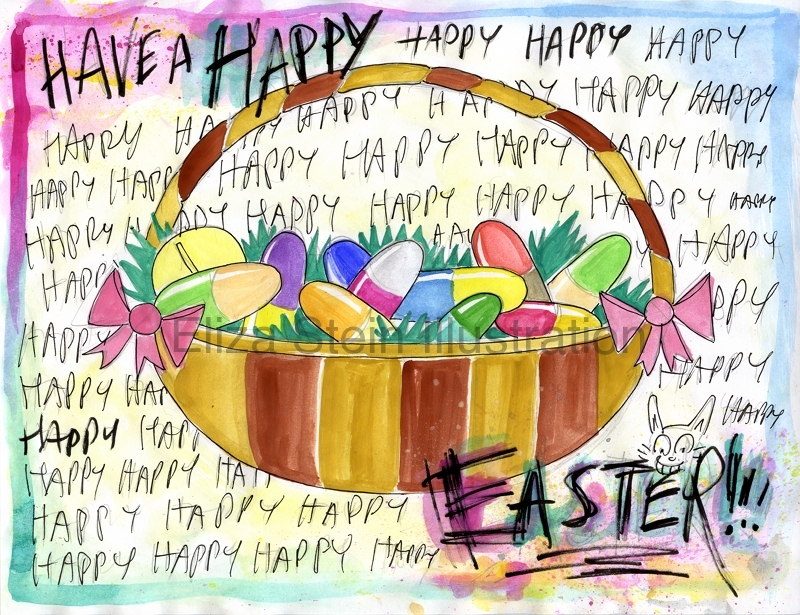 Enter the ecstatic Easter bunny! He’s got what you need to feed your head, along with some special hydroponically grown Easter grass to help you mellow out before and after church.